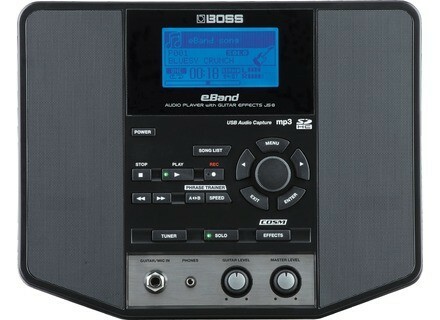 eBand JS-8 Audio Player w/ Guitar Effects, Pocket Recorder/Multitrack from Boss in the JS series. 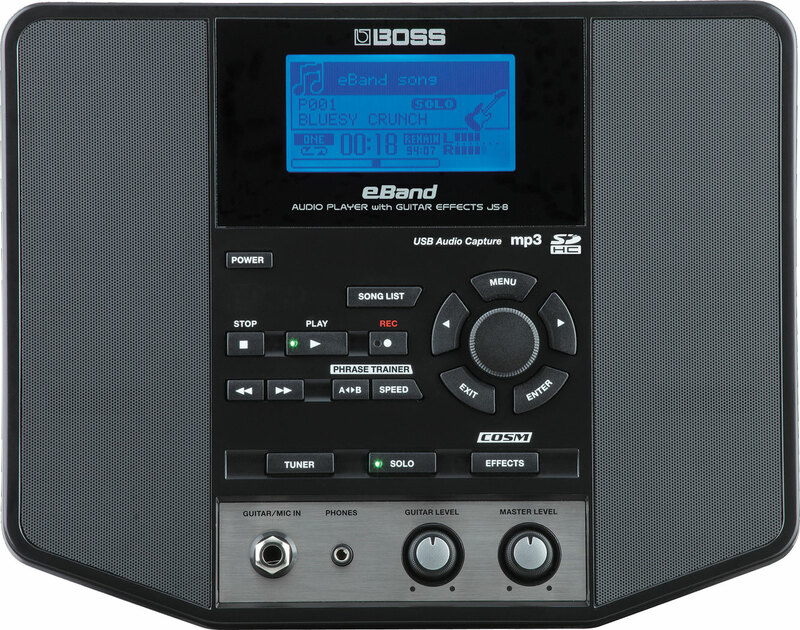 Product replaced by the Boss eBand JS-10 Audio Player w/ Guitar Effects. 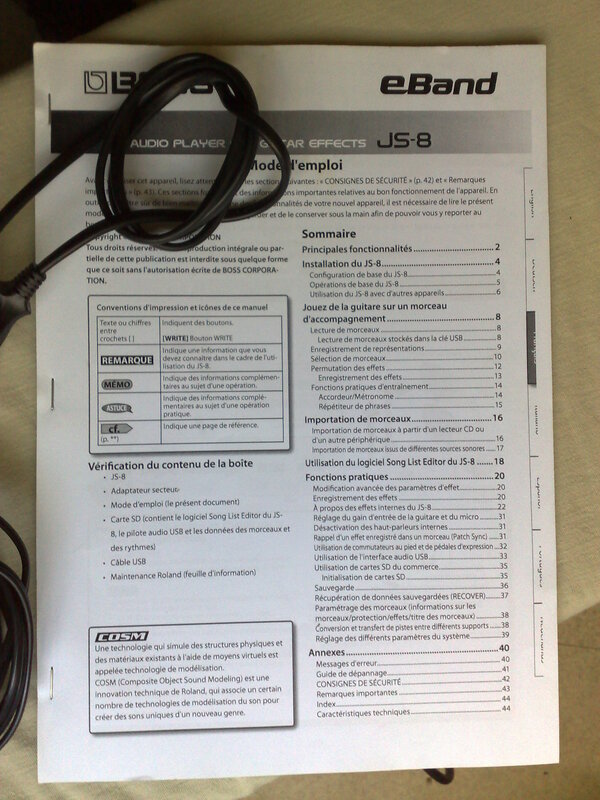 zikman57's review (This content has been automatically translated from French)" I love"
Coupled to the monitor speakers, just happily replace a guitar amp, what I did, because the sound from the EBANB is poor .... this is the only criticism I can do! frenchylions's review (This content has been automatically translated from French)" Versatile"
1) be able to rehearse with the band's music, changing speed and pitch. 2) to work on solos and scales in different keys and styles. 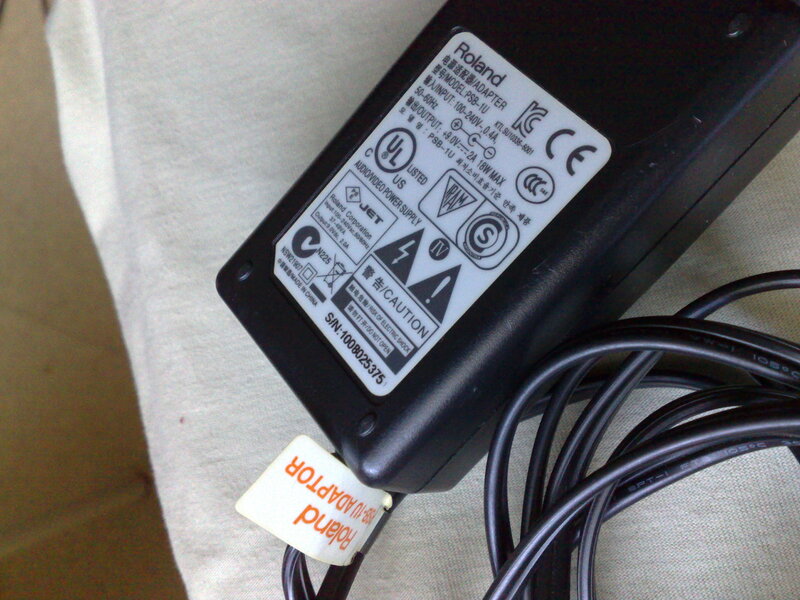 To repeat, this is fine, it sends the pieces directly into the animal via USB or directly with an MP3 player or mobile phone or via the stereo. Otherwise, it is always possible to create its own effects and save them. Negative point, creating / modifying effects can not be done on the Ebanda, unfortunately, no software to modify the effects on the PC back in Ebanda! Although it remains very intuitive and easy enough, the length of the process is quite disturbing because there are many configurable elements. The power of the speakers is enough to repeat at home, a parameter 'system' can increase the gain to give more volume to his instrument. 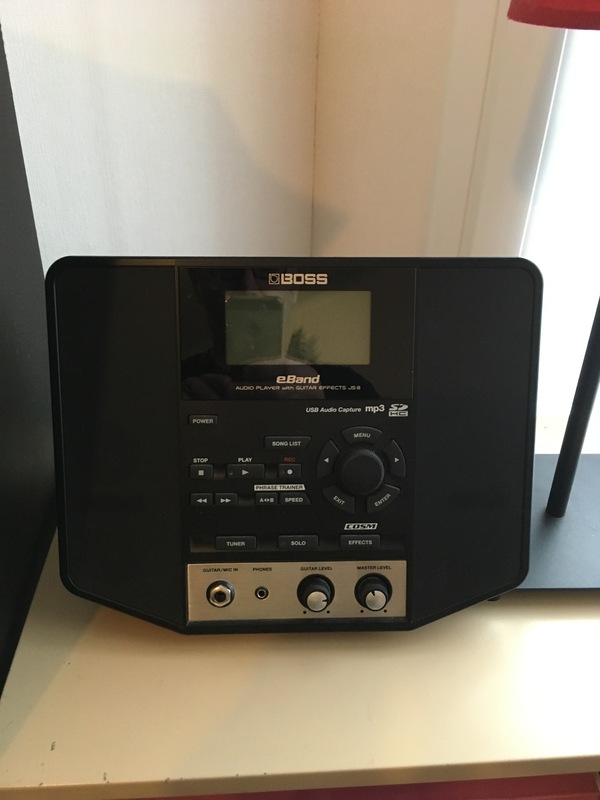 It is always possible to connect to your amp / speaker / stereo. Where the beast brings more is in its pre-programmed rhythm ... over 300 beats, all styles and tones to jam for hours ... oh yeah, when you start, one does more aware of time passing! The rhythms are well-fitted arch, with complete support and even screening effects (which can easily change course) ... drum break, change agreement, as are samples of 20 seconds running in a loop and you find yourself easily for Clapton or Slash or Hendrix or whoever you want because there's something for everyone! 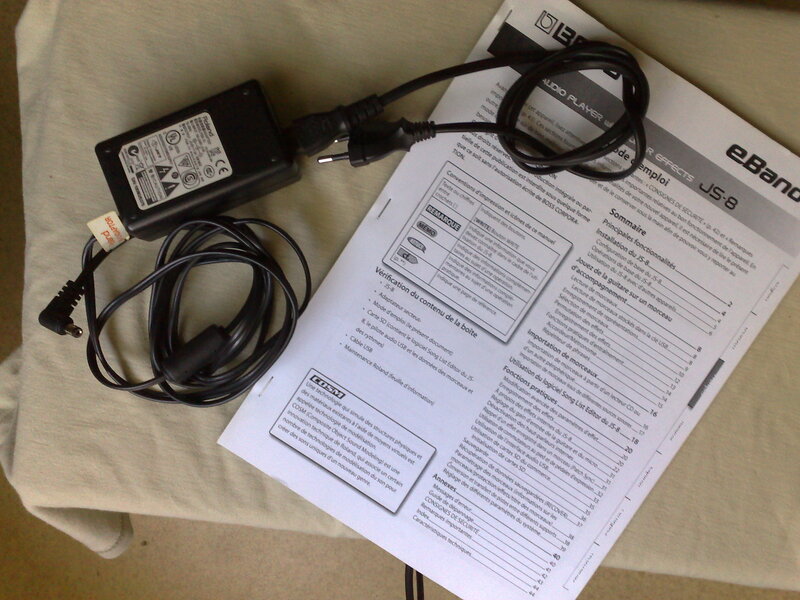 - Plan to buy an extra SDHC card, which comes with the unit is 1GB, a little short. An 8GB card costs + / - 10 euro.